Check this off the bucket list! My home is featured in a BOOK!! There’s a ten page spread + interview on my happy little home in Happy Living by Maria Spassov (published by Random House via Amazon)! The incomparable Rachel Linder of Blue Barn Photography shot my home tour a year ago, and we’ve been eagerly anticipating the release of this beautiful coffee table book for a long time! 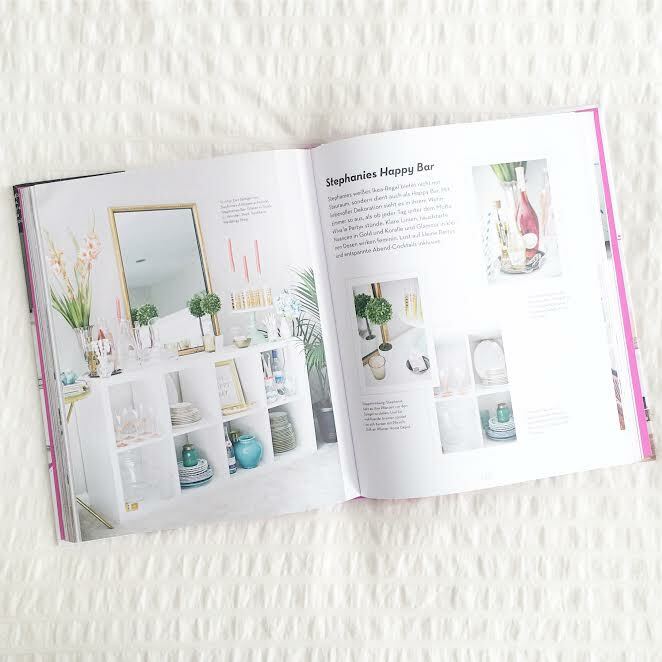 Granted, the entire book is in German so I can’t actually read what it says… but it sure is an awesome book with gorgeous home inspiration throughout! So very honored to be included!! Are you ever confused about what to wear to a specific type of wedding? Knowing the right thing to wear is a little tricky and you certainly don’t want to show up in the wrong attire! The Black Tux just cleared it up for you with this amazing style guide. The Black Tux offers this spot on Wedding Guest Style Guide for every kind of wedding there is and I am a huge fan over here!! It’s simple, yet full of detail and ensures that you never show up in the wrong type of dress, jewelry, or jacket again. So relax and go find that perfect outfit; all your questions have been answered! The Black Tux is an online suit and tuxedo rental company that offers a variety of looks for men that are suitable for every occasion. Here are a few examples of tuxedos and suits you can rent on their site, and some fabulous other images I love from Hi Miss Puff and Southern Style blog! Thanks so much for sharing this Style Guide with us The Black Tux! 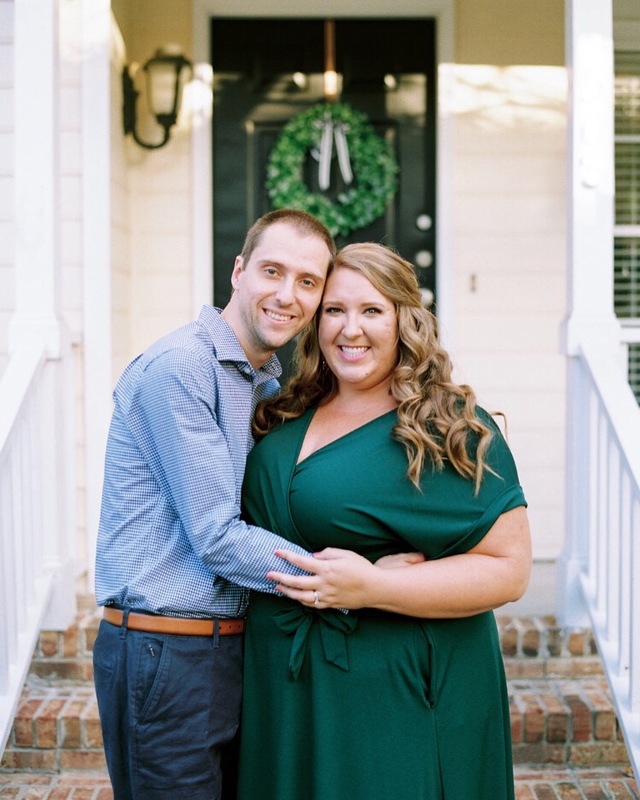 I’m Stephanie – joyful wife, wedding planner, designer, and stylist in Raleigh, NC. I adore newlywed life, weddings and love stories, traveling and adventures, the South, picnics and dinner parties, serving others, front porches, genuine community, and being continually inspired by beauty & joy in life. This is the blog behind Stephanie Shaul Events, where I design and plan beautiful, meaningful, grace-filled weddings! If you’re ever in doubt, marry the kind guy. To me, kindness transcends so many other features and traits, and it’s utterly important. I was single throughout almost the entirety of my 20s, and my best friends would encourage me in this so much and also ask “what’s your type?” I tried so hard to not have a running list of qualities (especially physical ones) that my future love would have, as you just have no idea who God has in store for you and what you really want/need. I wanted to keep my heart open to the possibilities God had for me and not have a worldly checklist. But! I always, always said that above all else, I wanted to marry a kind man. A man who loves the Lord and a man who is intrinsically kind was enough for me. Insert: online dating and my sweet Rob, whose profile said he was “the nice guy” and who wanted a girl who is kind and friendly. YES! More on our love story another day. So if you’re in a season of waiting and trusting, take heart and hold out for the man who embodies kindness. It’ll be so worth it to wait for the right man rather than settle for someone who, at his core, isn’t kind... for that will show his true heart - and how he will treat you, your loved ones, strangers, and your future children. Let’s spread more kindness and love everywhere we go!